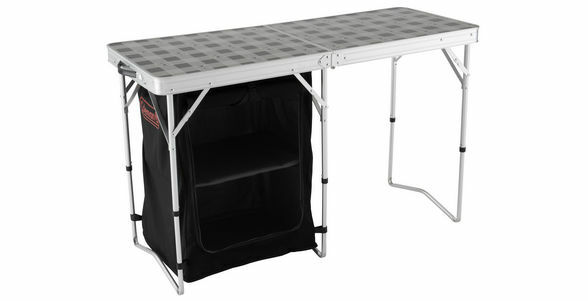 This 2in1 Camp Table & Storage is dual-purpose table and storage unit. It combines a hygienic antimicrobial surface with convenient inbuilt storage. Ideal for preparing food or dining al fresco, the integrated cupboard promises a clutter-free campsite.